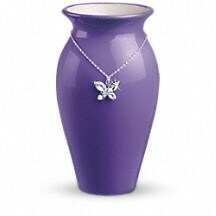 This limited edition hand-glazed, lavender ceramic vase is part of Teleflora's exclusive Flowers-in-a-Gift collection. It features a beautifully crafted butterfly pendant elegantly set with faceted crystal clear glass on a silver-plated chain. 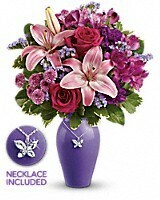 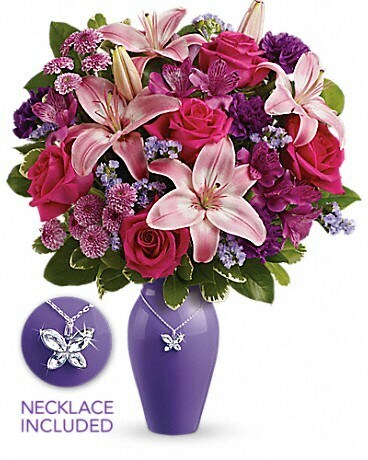 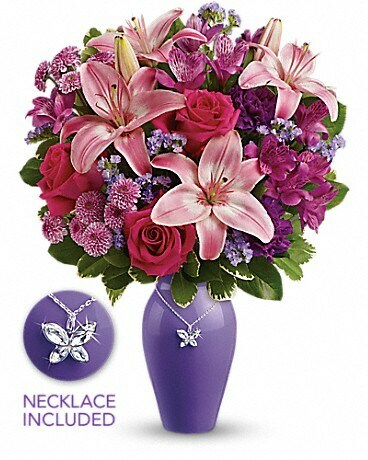 It's the perfect 3-in-1 gift to surprise Mom: the bouquet, the exclusively designed vase and the pendant with chain.